There are a number of principles in modern science which are quite pivotal for how science itself works. Principles which can often be used to distinguish the scientific from the psuedoscientific. Principles with which sound theories can be constructed and tested. One of the most pivotal of these is surely Occam’s razor. 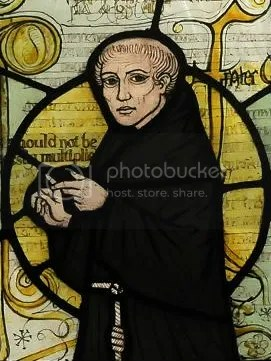 Attributed to an English friar and philosopher, William of Ockham, the strict translation above might not be the most intuitive. All the same, the bottom line is simple. A good theory or hypothesis will be the one which requires the least assumptions. If you require the existence of some additional, hitherto unknown, entity to make your theory work, you’d better have an exceptionally good reason for doing so. Simplest is best. It’s been found time and again that the Universe has a tendancy to work that way, which is why many theories in physics are elegantly simple. Describe the most data with the simplest explanation possible. Hence, it’s referred to as a “razor” — for cutting away any unnecessary material. Newtonian mechanics is quite a good example. More commonly known as classical mechanics, it’s simple enough that you were probably taught some principles of it in primary school, Newton’s laws are, to all intents and purposes, an ideal description of the world around us. Simple, however, does not mean simplistic. Classical mechanics are still widely used in the world today. Thus, Occam’s razor allows for an evolution of ideas. Any given theory is eventually superceded by another, explaining the shortcomings of the first in as simple a manner as possible. It’s certainly true in physics that many fervently believe the simplest theory to be the best. And therein lies the rub. The so-called “standard model” of particle physics is arguably the most successful theory of all time. Describing the quantum world with precision and consistency, the standard model is our best description of the bizarre world of quantum mechanics. But by all standards, it’s gut wrenchingly ugly. By Einstein’s definitions, the standard model is very definitely made of wood, with all of its lumps, bumps and knots clearly on display. No matter how carefully you sand down a wooden theory to smooth it’s edges, the knots will still remain. The quest for a marble theory is one of the driving factors behind the search for grand unified theories — but thus far, few can fully withstand the test of Occam’s dreaded razor. All must posit new entities or realities, many of which are simply untestable. Another interesting thing is that Occam’s razor is the main armament of any theorist who’s critical of dark matter. Dark matter was proposed to explain why galaxies don’t simply fling themselves apart. They rotate far faster than they theoretically should unless they’re significantly more massive than they appear to be. The idea of dark matter, then, is simply that they are significantly more massive than they appear to be! Dark matter is, arguably, a quick fix. Not enough matter? No problem! Let’s just assume that there’s a lot more matter there. We just can’t see it. Not an unreasonable suggestion in all fairness. Those critics, however, prefer to believe that we simply don’t understand gravity as well as we could. Theories like Modified Newtonian Dynamics (MOND) have been proposed as a result, which don’t require the presence of dark matter. It has to be said, applying Occam’s razor, such theories should be favourable — they require fewer assumptions. I would hasten to add that I am in no way making any statement against theories of dark matter. To the best of my knowledge, it simply has to exist. MOND, in turn, is not without its discrepancies… But I can, if nothing else, empathise with the rationale behind it having been devised. No one theory has yet been universally accepted (neither to solve both the galaxy rotation problem, nor to supercede the standard model), and many of the most widely used have difficulties. It’s been said that physics is overdue for a major breakthrough. A Richard Feynman for the 21st century, perhaps. For the meantime, we just have to sit back and wait for some plucky theorist to find the shoe that fits best. This entry was posted in academia, Imported from Livejournal, physics and tagged philosophy of science, scientific method, scientists. Bookmark the permalink. 6 Responses to Occam’s Razor. Because no one likes a hairy theory. Pingback: The Wow! Signal: Intercepted Alien Transmission?